One of the major diseases affecting Hevea brasiliensis is the white root rot caused by the fungus Rigidoporus microporus. 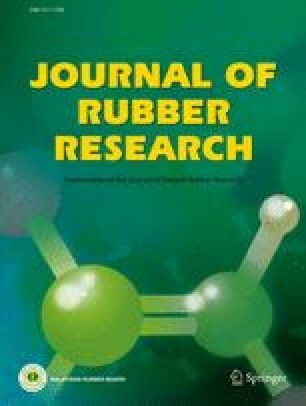 Current treatment measures taken to control rubber diseases are highly dependent on chemical fungicides which pollute the environment and pose health hazards to workers. The utilisation of chitinolytic microorganisms for disease control is an attractive alternative. A total of 61 chitinolytic isolates were isolated from soil and tested for antagonism against R. microporus using dual culture assay. Out of the 61 chitinolytic microorganisms, 46 exhibited inhibition against R. microporus ranging from 3.67% to 85.65% with isolate SPSB 4-4 recording the highest percentage inhibition. Light microscopy observation revealed degradation of mycelium implying the hydrolysis of fungal cell wall by chitinase. Nine chitinolytic microorganisms which exhibited the highest percent inhibition were selected for dipped stick inhibition assay. All nine isolates inhibited the growth of R. microporus with percent inhibition ranging from 31.69% to 91.63% with isolate SPSB 4-4 exhibiting the highest percent inhibition. These nine isolates were sent for 16S rRNA gene sequencing for bacterial identification. The isolates were identified to be from the genus Pseudomonas, Burkholderia and Streptomyces. These chitinolytic microorganisms hold great potential to be developed as effective, environmentally friendly and worker-safe solution for crop protection.